The report captures partner's monthly commitments to engagement, attending events, new business development, marketing, expansion and training. Special formulas convert scorecard points into traffic lights: green, amber and red. 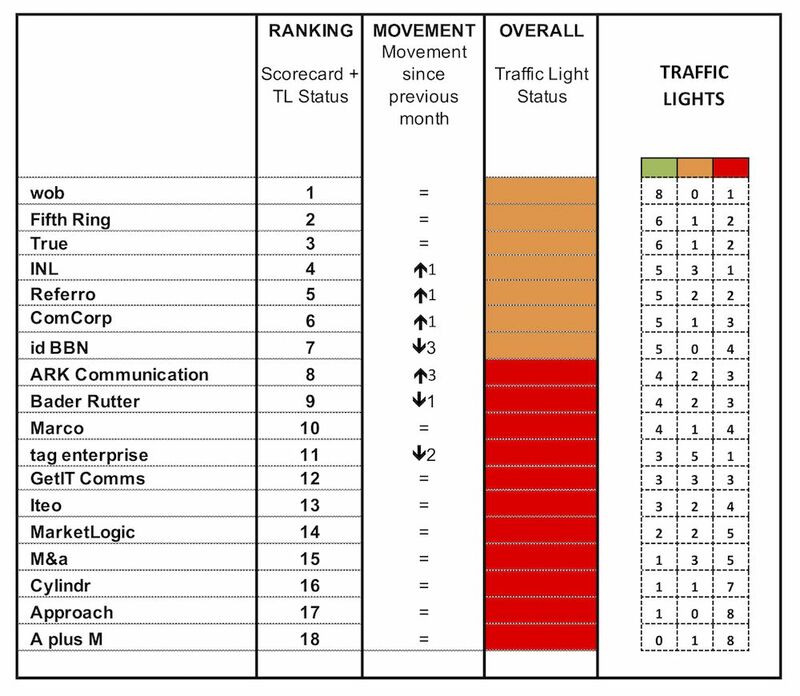 With clear evidence that BBN is already more collaborative than it's ever been, lets ensure we are the best we can be for each other and turn all those lights green in the next three months! If you are not sure how to turn your green lights from amber or red, just refer to your scorecard for guidance. Increasing scores evenly across all areas will ensure you are really getting the most out of your BBN partnership.